Each fall our 4th, 6th, and 8th grade students hold a Wreath Sale to raise funds to help defray the cost of attending Oregon Trail Overnight, Outdoor School, and 8th Grade Retreat. The sale runs from late October through early to mid November. 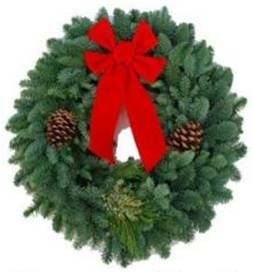 Wreath orders can be placed with students, after masses, or online. We appreciate everyone who supports us each year by purchasing Christmas wreaths through St. Matthew Catholic School.